Right now, a grandma in Hungary is watching Gangnam style for the very first time. Her introduction to Psy has been made possible by a partnership between YouTube (S GOOG) and the local cable TV provider UPC Hungary, which added a YouTube app to its cable boxes a few weeks ago. YouTube isn’t the only online video service flirting with cable these days. Netflix (S NFLX) has struck agreements with a number of cable companies to add its service to their devices. However, these agreements have so far been limited in scope due to hardware constraints. UPC Hungary on the other hand is bringing YouTube to every single customer, thanks to clever use of the cloud that could soon bring online video services to many millions of additional eyeballs. At the center of UPC Hungary’s YouTube roll-out is a technology called CloudTV that’s been developed by the San Jose-based cloud video technology specialist ActiveVideo. CloudTV is essentially an OnLive-like service for TV apps and content. This means that the YouTube app isn’t actually installed on the set-top boxes that UPC’s Hungarian customers have in their living rooms. Instead, it is rendered in the cloud and delivered as a personalized video stream to each and every box. And whenever a viewer presses a button on their cable box remote control to jump from one YouTube clip to the next, the cable box sends a control command to the cloud, where the stream is changed on the fly, with a latency of 500 milliseconds or less. The big advantage for UPC is that it doesn’t need to ship new hardware in order to deliver YouTube and other apps to its customers. That makes this cloud-based approach not only cheaper, but also a whole lot faster than transitioning each and every customer to new devices. The cable provider launched an app store on its HD set-top boxes in May, which offers access to more than 20 apps, including YouTube, Flickr (S YHOO) and Google Maps. 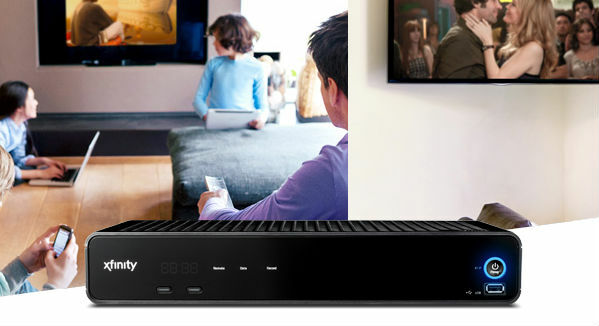 The company now expects to deliver the same service to all of its 1.5 million customers, even the ones that still have a standard-definition set-top box connected to their TVs, by the end of the year. “The reason for doing this is to add value to the existing TV product, to bring a whole new content offer to our customer base,” said a UPC spokesperson. Other attempts to bring online video services to cable boxes are considerably slower. Netflix struck agreements with Virgin TV in the U.K. as well as a few smaller U.S. cable providers including RCN and Suddenlink, but these deals are for now limited to TiVo DVRs distributed by those providers, and upgrading customers to these devices has been a slow process. Virgin started to lease TiVo boxes to its customers in 2010. 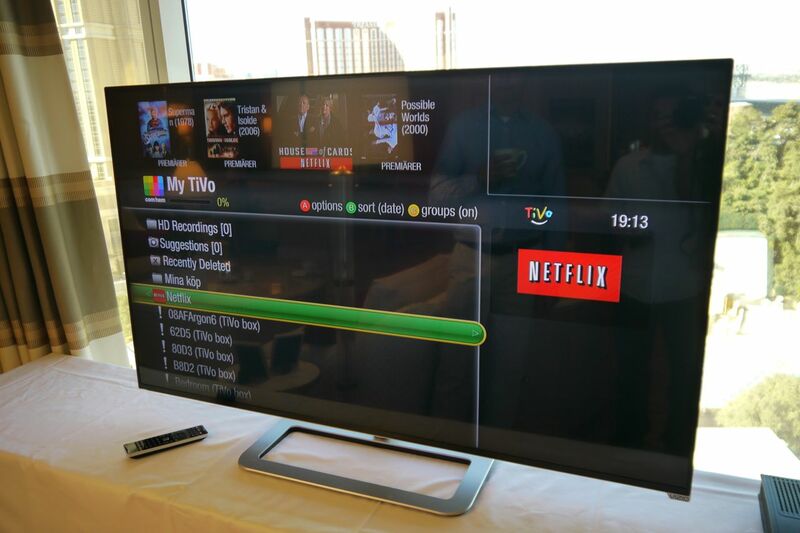 By the end of 2013, it had only transitioned 50 percent of its customer base to TiVo-based devices. “It typically takes a 5-year upgrade cycle” for a pay TV provider to transition an entire customer base to a new generation of devices, explained ActiveVideo CMO Murali Nemani. And once that’s done, that hardware may already be obsolete again, or incompatible with the latest generation of online video services. What makes matters worse is that delivering video streams to cable devices puts a burden on online services that tend to use different DRM systems and codecs than the ones used in the pay TV world. “It’s not a scalable model,” Nemani said. In addition to those technical issues, there is a whole range of business concerns that have prevented cable providers from wholeheartedly embracing online video services. Netflix’s licensing contracts with Hollywood, for example, made it initially impossible for the company to bring its app to any device that is leased by a TV provider. Netflix has since renegotiated these deals, but that hasn’t changed everyone’s mind. Comcast, (S CMCSK) which operates the nation’s largest pay TV service with 22.6 million subscribers, has been particularly slow to embrace Netflix and other online video services. The company is currently transitioning its customer base to its new X-1 set-top box, which would theoretically be capable of running apps like Netflix and YouTube, but Comcast executives have gone on the record to say that striking partnerships with these companies isn’t a very high priority for them right now. Instead, Comcast is getting ready to test its own online video service, which is scheduled to deliver niche content to some of its customers by the end of the year. Comcast’s X-1 set-top box could theoretically run apps for YouTube and Netflix, but the company is in no rush to add these services. But while Comcast may have the size to ignore Netflix & Co. for the time being, others are starting to warm up to the service. Smaller and mid-sized TV operators, which are increasingly getting squeezed by the ever-rising costs to carry hundreds of traditional TV networks, are increasingly open to carry online services. Netflix has struck deals with four U.S. TV providers, and YouTube is working with a total of nine cable companies. However, all of these deals are thus far only for TiVo’s hardware; based on recent financial filings, TiVo distributed at most 1.4 million devices through all of its U.S. cable industry partners — a drop in the bucket when compared to the total of 93 million pay TV households in the U.S..
Netflix and YouTube would love nothing more than expand their reach in the pay TV space, because it would like to reach new customers, and engage them on platforms where they already spend hours every day watching TV. Granted, there are YouTube and Netflix apps on every Blu-ray player and game console these days, and dedicated streaming devices like Chromecast and Roku are gaining millions of users. However, these devices generally still require users to make an effort, switch the HDMI input of their TV and seek out certain content. The cable box on the other hand has traditionally been the default viewing source, and is synonymous with “what’s on TV right now.” Netflix and YouTube also want to be “on TV,” and become an equal choice next to and as easy to find as traditional TV networks. “The pay TV environment is seen as the last major frontier” amongst online video services, Nemani said when I asked him about the impact partnerships like the one between UPC and YouTube are having on the industry. Speaking of which: Nemani wasn’t able to tell me which other pay TV operators are planning to use ActiveVideo’s tech to bring YouTube and other services to their set-top boxes, and UPC’s corporate parent Liberty Global was equally tight-lipped about its plans for online video services. A YouTube spokesperson wasn’t able to comment at all on the partnership, which hasn’t previously been reported, save for a few mentions in Hungarian news outlets. Next up: UPC Europe, or even Charter? It’s possible that this silence has something to do with much bigger ambitions. Liberty has 24.5 million cable TV subscribers in 12 European countries as well as the U.S. Many of these could theoretically get YouTube and other apps with a little help from the cloud as well. And then there is Charter, the third-biggest cable company in the U.S.. There is a lot of chatter in the industry that Charter is looking to open up its set-top box and become more of an aggregator of content sources that include both traditional TV and online video. Charter also teamed up with ActiveVideo to deliver a cloud-based UI to its set-top boxes. And coincidentally, Liberty Global is holding a significant stake in Charter. well no comcast and stuff does not want you to know about netflix and stuff the rate people are dropping cable people will see this app and go around and see they can get it with out cable and boom the lose another subscriber. We just need that google internet tv to finally get to all the states and pay less and have unlimited bandwith. Cool stuff for old STBs. CloudTV is a service for TV apps that works like a cloud gaming service. Add just one app and get many apps from the cloud. The system is already used for cloud gaming on Cablevision and a Time Warner Cable system and has already delivered over 400 million gaming sessions. Unlike the other cloud gaming vendors, ActiveVideo’s system supports hundreds to thousands of simultaneous users PER BLADE. Geo-targeting relies on the source IP address of the browser or device. The StreamCast solution for YouTube virtualizes each of the STBâ€™s in UPC Hungary presents the IP address of the UPC Hungary head-end to YouTube. YouTube then applies their processes for advertising and content restrictions. If the YouTube video is rendered in the cloud, I wonder how geo-targeting for advertising and regional content restrictions work? As far as YouTube, where is the “viewing” taking place? San Jose? Hungary? Or somewhere in between?